With 2018 being well underway and the festive cheer feeling like a distant memory, it is time to reflect on the year ahead. 2017 was a turbulent year in migration, with the government introducing some of the largest changes seen in recent years across a number of visa programs. 2018 is set to see further changes rolled out across a number of visa and citizenship programs. The 457 visa program will be replaced b a Temporary Skills Shortage (“TSS”) visa, introducing stricter english language and work experience requirements. The 187 visa program will be varied, introducing minimum salary requirements, stricter work experience requirements and a shorter list of occupations eligible for visa program. From 1 July 2018, changes are proposed to be made to the Australian citizenship requirements, with the possibility of extending the residence requirement. If you are applying for a visa or Australian citizenship in 2018, it is important to understand whether you will be impacted by these changes. Contact one of our friendly staff on (07) 3360 0844 to discuss your circumstances today. The new skilled occupations list for 2017 has been announced and Accountants can breathe a sigh of relief. Despite a controversial lack of positions in the Australian job market, graduate Accountants can take a small degree of comfort knowing that a migration outcome may still be feasible, despite the lack of job certainty for international graduates. International audiologists are encouraged to seek professional advice from an experienced and registered Migration Lawyer, as this occupation has been added to the list. This move undoubtable reflects the shortage of audiologists which has been experienced right across Australia in recent years. If you are a skilled foreign national with qualifications and exeperience in an occupation listed above, all hope is not lost as there are still opportunities available for state nomination in most Australian States and Territories. 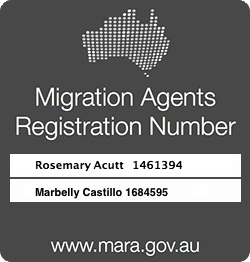 The official SOL list is available via the Migration Regulations by clicking here. 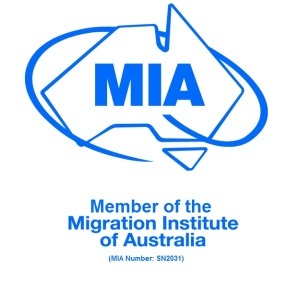 If you are interested in securing a migration outcome via the Skilled Migration Program, contact us today for a confidential discussion regarding your options and eligibility. Every year, hundreds of thousands of applications are made for a visa to visit Australia. To be eligible for a Visitor visa, an applicant must genuinely intend to stay in Australia on a temporary basis for a short business visit or for tourism purposes. They have sufficient ties to their home country and thus an incentive to return home at the end of their visit. That they have access to adequate means to support themselves (and their family where relevant) during their stay in Australia. They could be asked to provide evidence of their adequate means of support. All Australian visas have a requirement that the applicant meet certain health criteria. Depending on the length and duration of your stay in Australia, you might need to undertake medical examinations to prove that you meet the health criteria, such as a general medical examination or chest x-ray. The Medical Officer will provide the results of your medical directly to the Department. The longer the intended period of stay, the more stringent the health examinations become. If you fail to meet the health requirement, your visa may be refused. Every year, thousands of visa applications are refused. The reasons for refusal range from incorrect documentation having been provided, misunderstandings as to the requirements and failure to respond to correspondence from the Department of Immigration. Every day, we field enquiries about appealing visa refusals and cancellations. Accordingly, we sat down with Immigration Lawyer Valeria Flora to discuss how to win at AAT. As a Registered Migration Agent, it is not uncommon to find myself in the firing line when it comes to frustrated clients venting their anger about the visa process. Taking a step back, let me be clear for those that are not familiar with Parent visas, $50k is the approximate cost of a Contributory Parent visa charged by the Department of Immigration and Border Protection (DIBP) and certainly nowhere near the meagre sum that I charge to prepare such applications. In December 2014, amendments were made to the Migration Act, giving the Minister of Immigration greater power to cancel visas. As a result, the number of visa cancellations in recent months has skyrocketed. In certain situations, a person can face mandatory visa cancellation if they have been convicted of an offence and are serving time in an Australian prison. In recent months, our office has received a steady flow of enquiries from distraught parents and partners whose loved ones have had their visas cancelled. Most of these clients are currently being held in Immigration Detention. Many a New Zealand citizen has been caught off guard by these provisions, with many not realising they had a visa which could be cancelled. Anyone who has been involved in Australia’s migration system, whether it be applying for a visa or working in the sector, will understand the true meaning of ‘red tape’. 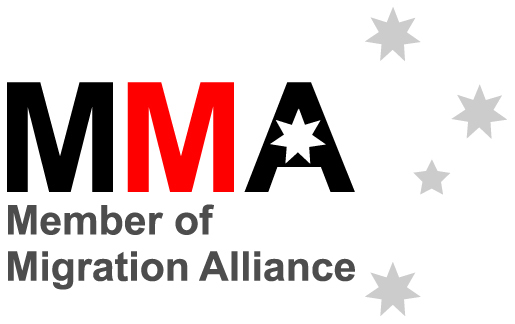 Despite the Coalition’s promises to ‘deregulate’ the industry, mindless bureaucracy and monopolies are so prevalent in the migration sector that one wonders whether there is any incentive for key stakeholders to ‘cut the red tape’. Do You Want to Migrate to the Sunshine State – Where Tradies Get the Ladies! 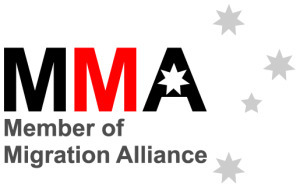 Recent statistics released by the Migration Council of Australia (MCA) indicate that Australia needs to increase its migration levels by approximately 30% per year to boost the economy and sustain future growth. Attention all Engineering Graduates who have completed their studies outside of Australia – this may be your last opportunity to gain work experience in Australia upon the completion of your studies! According to a DIBP internal paper obtained by The Australian Financial Review, DIBP is expected to drop the Skilled Recognised Graduate visa (Subclass 476) as early as next year. This visa was introduced to ease engineering shortages in Australia and allows recent engineering graduates from recognised universities to work in Australia for up to 18 months in order to gain work experience. Applicants must be under the age of 31, have evidence of competent English language ability and have graduated within two years from the date of application from a recognised foreign institutions. AGS Consulting & Training offer a range of public, online and in-company qualifications including Diploma courses (Project Management Management & Leadership).